Community Action Agency distributes food boxes to low-income households each quarter. Households who qualify for SNAPS (food stamps) are eligible to receive a food box. Food is distributed quarterly at the Cumberland Presbyterian Church Family Life Center located at 1410 Golf Club Lane from 8:30 am - 12:00 pm or until all food is gone. Please like and follow the CAA Facebook page to receive notifications on the distribution dates or call 931-896-1800. What is The Emergency Food Assistance Program / Commodity Food Distribution? 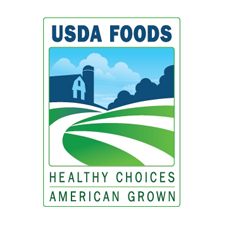 Through TEFAP, the U.S. Department of Agriculture (USDA) purchases a variety of nutritious, high-quality USDA Foods, and makes those foods available to State Distributing Agencies. The amount of food each State receives out of the total amount of food provided is based on the number of unemployed persons and the number of people with incomes below the poverty level in the State. States provide the food to local agencies that they have selected, usually food banks, which in turn distribute the food to local organizations, such as soup kitchens and food pantries that directly serve the public. States also provide the food to other types of local organizations, such as community action agencies, which distribute the foods directly to low-income households. (a) Public or private nonprofit organizations that provide nutrition assistance to low-income Americans, either through the distribution of food for home use or the preparation of meals, may receive food as local agencies. Organizations that distribute food for home use must determine household eligibility by applying income standards set by the State. Organizations that provide prepared meals must demonstrate that they serve predominately low-income persons. (b) Households that meet State eligibility criteria may receive food for home use. States set income standards, which may, at the State’s discretion, be met through participation in other existing Federal, State, or local food, health, or welfare programs for which eligibility is based on income. States can adjust eligibility criteria to ensure that assistance is provided only to those households most in need.